Giraffes are the tallest animals on land, whales are the largest animal in the sea. Let’s look to the skies for the largest birds. But wait, most of these birds can’t fly! Check out the list of the top 10 largest birds of the air, sea and land. Native to Central Europe and the flat grasslands of Asia, the Great Bustard is a threatened species, averaging in height of 90 cm (2 ft 11 in). The adult is possibly the largest flying animal on Earth. Standing at 92 cm (39 in) tall, the King Penguin is the second-largest penguin in the world. As fantastic swimmers, they dive into ocean depths hunting small fish, squid and crustaceans in Antarctica. King Penguins make a tasty meal for leopard seals on land, and orcas in the sea. 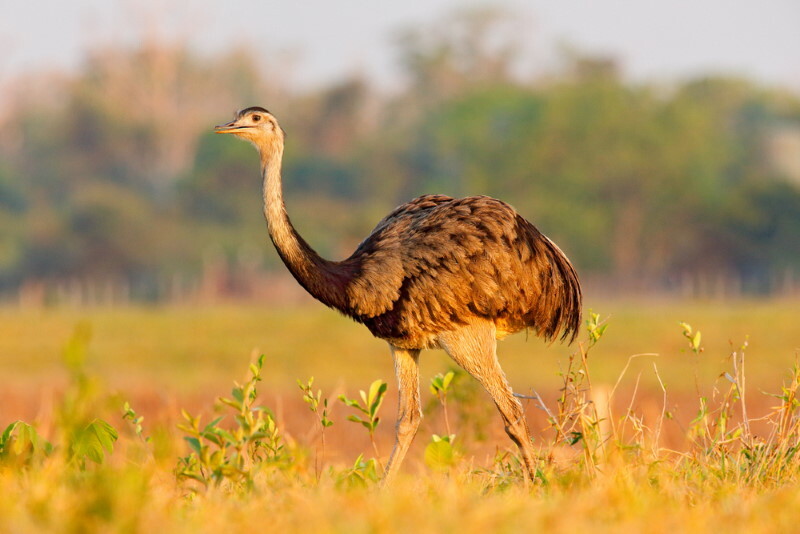 Also, known as Darwin’s Rhea, the Lesser Rhea measures 96 cm (32 in) in height. Darwin named it Rhea after a Greek Goddess. Argentinian natives call it ñandú petiso. They are social, yet quiet birds, yet during mating season, males search for females with booming calls. 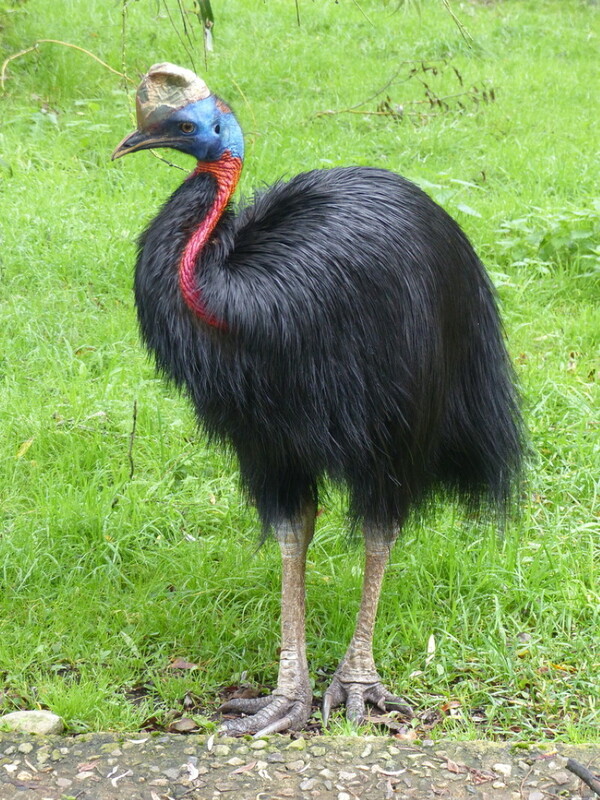 The blue-headed Dwarf Cassowary is seventh on this list with a length of 105 cm (34 in). 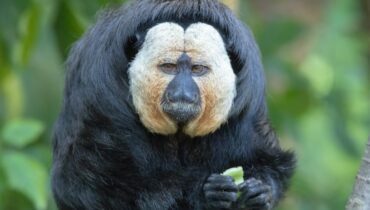 They enjoy living alone in the high mountain forests of New Guinea and only pair up in the breeding season. Due to habitat loss and being hunted for food, the dwarf cassowary is on the IUCN Near Threatened Species list. Reaching 122 cm (48 in) in height, the Emperor Penguin is the largest of all penguins. They are also the only penguins to breed in the Antarctic winter with temperatures that reach −40 °C (−40 °F). 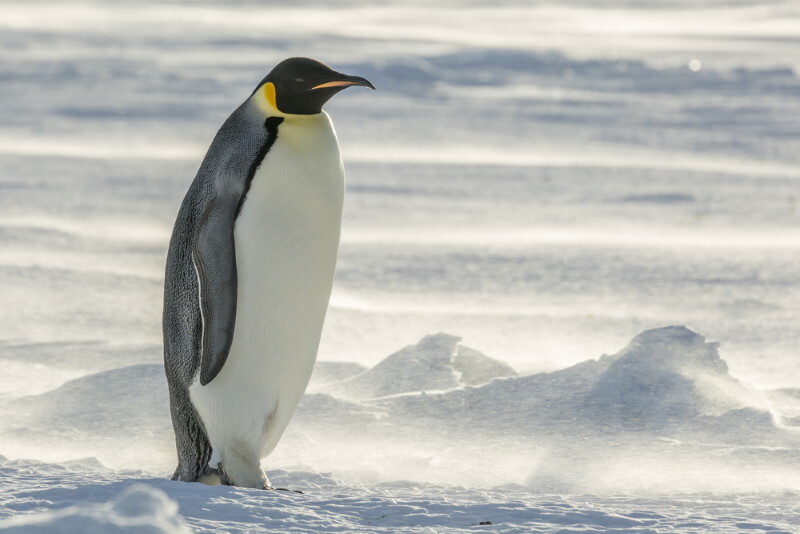 The Emperor Penguin has adapted the ability to maintain its core body temperature to minimise body heat loss. The Northern Cassowary is another ground-dwelling bird eating mainly fruit and small animals. 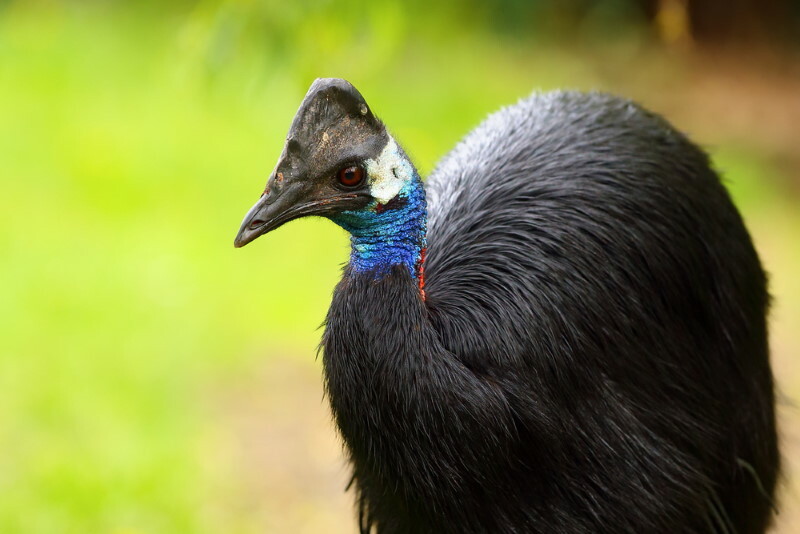 With a height of 149 cm (49 in), the Northern Cassowary’s habitat is subject to on-going logging reducing their ability to camouflage in the forests of Papua New Guinea. The Southern Cassowary comes in third place as the largest bird on Earth, but comes in first place as the largest Asian bird. It stands at most 180 cm (70 in) tall. Its most distinct feature is a large, bony casque on top of its head. The bright blue patch on its head attracts mates. The emu is the largest bird in Australia reaching up to 190 cm (6.2 ft) in height. 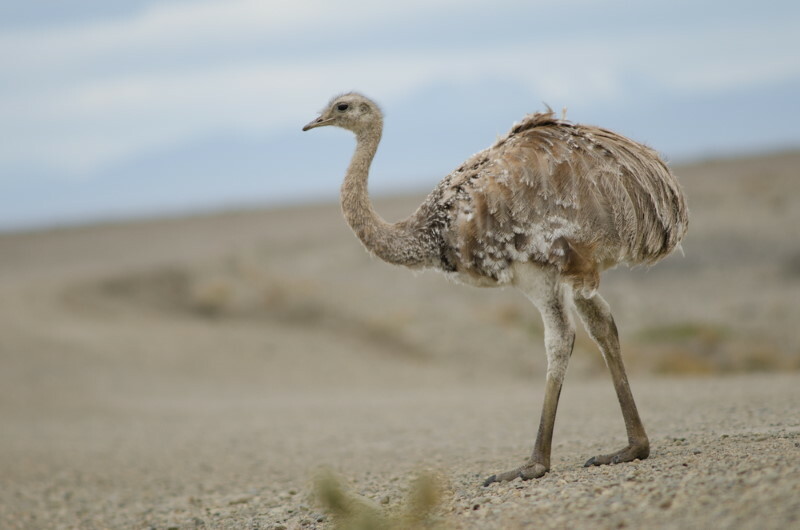 Emus have long legs that can take them over great distances. 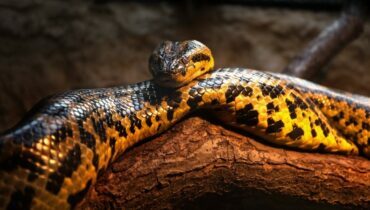 They can reach speeds of up to 50 km/h (31 mph) with strides measuring 275 cm (9.02 ft). Their legs are so strong that they are known to rip down wire fences. 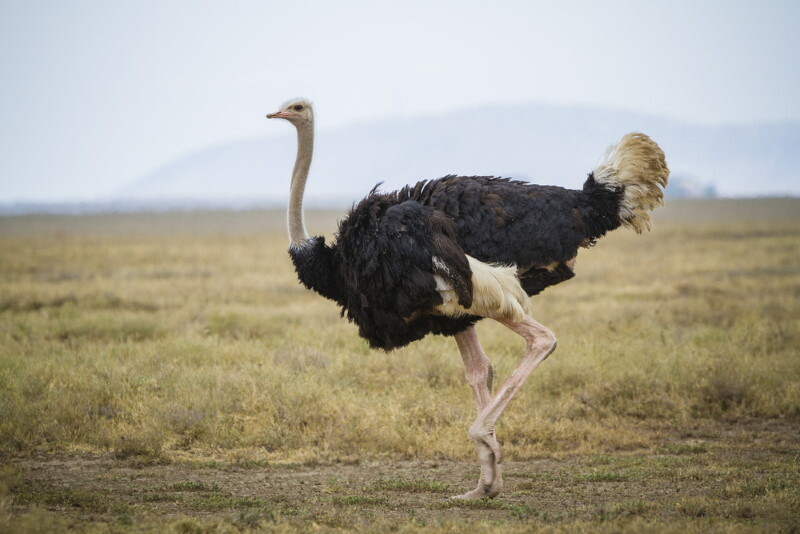 The largest bird is the Ostrich. This giant flightless bird reaches 210 cm (69 in) in height. The brown feathers of the female allow her to camouflage with bush and scrubs. The distinct black and white plumage of the male means they have to hide from predators by laying their heads and necks flat on the ground to appear like a mound from a distance.